I don’t know about you, but this time of year always seems to involve all sorts of pressure and anxiety, and inevitably leaves me in desperate need of instant relaxation techniques. First it’s the back-to-school madness, and seasonal change (winter’s coming up fast in these parts), then it’s Thanksgiving and Halloween and before I know it it’ll be November and the hectic holiday season will be upon me. On top of that it’s third quarter assessment time, which has me reviewing and reassessing my goals and questioning whether or not it’s even physically possible to get done the things I want to get done before the end of the year. In other words, autumn gets me freakin’ stressed and I need real tools to help me cope! 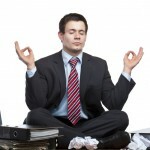 Hence, today’s instant relaxation techniques, which happen to be my three favourite stress-reduction methods. These three exercises will help you unwind by reducing tension, diminishing stress and increasing your feelings of tranquility and peacefulness. They can be used whenever you feel stressed out or anxious, and they are also really great for reducing insomnia at night, too! Side note before we get started: Most experts will tell you that you should do meditative exercises while sitting in a straight-backed chair, but seeing as I’m trying to actually relax when I do these things I want to be as comfortable as possible, so I much prefer to do these types of exercises lying down. When you try them, my suggestion to you would be to just pick a position that’s comfortable for you. 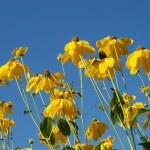 On the next inhale, tell yourself: “Breathing in, I relax my body” and on the following exhale, “Breathing out I smile”. As you breathe in, let any tension you feel dissolve. As you breathe out, smile just a little bit. On each inhale dissolve the tension further and further, and on each exhale, smile a little bit more.Deep breathing exercises can be a wonderful meditative experience to help you relax and unwind. There are a bunch of different kinds of deep breathing techniques out there, but my personal favourite is one I came across in Thich Nhat Hanh’s book Peace is Every Step. Basically, you find yourself a comfortable position and take a few minutes to just be present in the moment. Close your eyes and bring your attention to your breathing and just focus on it for a minute or two – your mind will wander away from your breaths, and when you notice that it has, just bring it gently back to focus on your breathing again. If it helps, you can use a focusing aid such as thinking the words “in” and “out” as you breathe in and out. 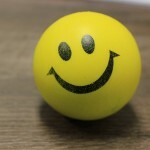 Smiling relaxes all sorts of facial muscles and “tricks” you into feeling happier, which helps you to relax even more. Deep breathing not only calms your mind, it brings more oxygen into your body and also has the effect of slowing down your heart rate, which also helps to induce relaxation. Progressive Muscle Relaxation, sometimes just referred to as Progressive Relaxation, is a great tool for those times when you’re really feeling physical tension and discomfort in your body. This technique was developed in the early 1920s by American physician Edmund Jacobson, and basically consists of slowly tensing and relaxing each of your muscle groups in sequence (hence the “progressive” part). By deliberately tensing your muscles before trying to relax them, you can actually achieve a deeper muscle relaxation than you would have if you tried to just relax the muscles directly. This is the one where you get to use your awesome mind powers to induce tranquility and peacefulness (Ha! You didn’t know you were a superhero, did you? 😉 ) This is also probably the most fun out of these three instant relaxation techniques because you get to which yourself away to some fabulous location of your own choosing with your imagination. And it’s all in the name of stress-reduction so it’s all good. So the standard technique here is to image a scene, place or event that is particularly peaceful, beautiful or happy for you. It can be a “real” place like a beach you’ve been to before, or it can be a fantasy place that you’ve never actually experienced before but which you feel would be happy or peaceful for you. Either works as long as you can imagine details, because the more details and senses you can draw into your visualization, the more effective it will be. So if you do happen to imagine yourself relaxing on the beach, really get into it: feel the texture of the sand and the towel you’re laying on. Feel the warmth of the sun or the coolness of the water on your skin. Smell the salt of the ocean or fruity pineapple and coconut in your pina colada. Taste the pina colada! Feel the breeze! Listen to the sound of the waves crashing against the shore, and hear the birds calling to each other overhead. Really feel yourself becoming calmer and more serene in this perfect, relaxing place. If you’re not a beach person, then choose a forest, or the desert or whatever place and scene feels right for you. The point of this exercise is to use it kind of like a “virtual vacation” – it’s supposed to be a retreat from any stress, exhaustion and tension you may be feeling, so enjoy it! The point of peaceful visualization is that when you really get into the process and engage all your senses as much as possible, your body starts to react to the images as if they were real. That’s how powerful your mind can be, when given the chance. Stress may be a part of life, but that doesn’t mean we have to put up with it. 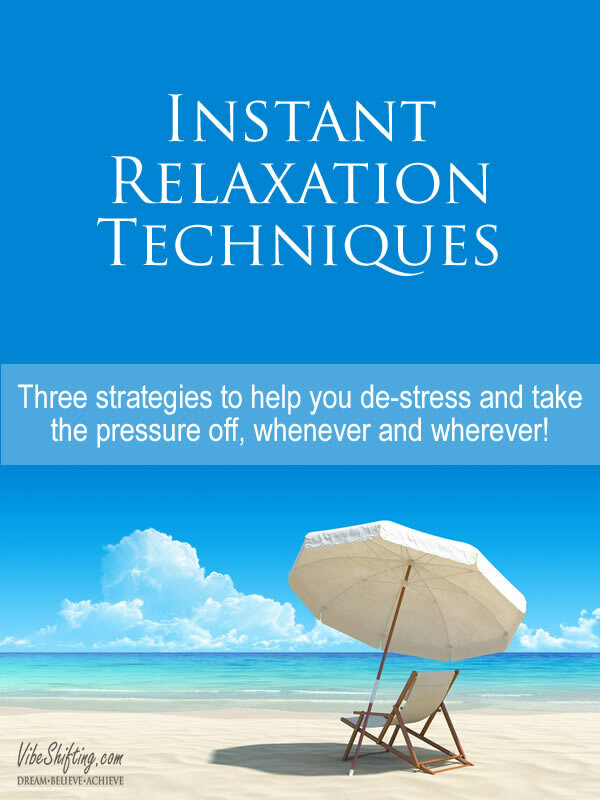 Using instant relaxation techniques can help you to consciously reduce your stress and anxiety, and make your days much more enjoyable. Though they may feel awkward to you at first, as you start to use these techniques on a regular basis, you’ll get more comfortable and more proficient with them; in other words, these techniques get easier and more effective the more you use them. This is great, Nathalie! I realized as I was working out today that I have been anxious pretty much all my life due to an anxious home environment. This is very exhausting however and existing this way is bad for health. Stopping the worry takes a bit of effort since it had been my default mode, and even when I focus on feeling good, negative thoughts creep in, but they can be stopped. I realized I can’t waste energy like that so feeling good is the way to go. And that’s what I’m going to do!